June 28, 2010 - The Missile Defense Agency and U.S. Army soldiers of the 6th Air Defense Artillery Brigade from Fort Bliss, Texas, successfully conducted an intercept test for the Terminal High Altitude Area Defense missile defense element of the nation’s Ballistic Missile Defense System. 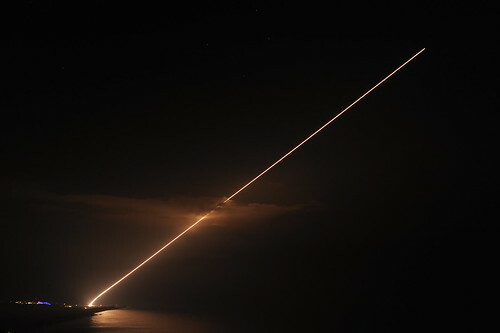 A target missile was launched at approximately 9:32 p.m. Hawaii time, June 28 (3:32 a.m. EDT, June 29), and about five minutes later a THAAD interceptor missile was launched from the Pacific Missile Range Facility (PMRF) off the island of Kauai, Hawaii. Learn more at www.mda.mil/system/thaad.html.